Add personality to your next design project. Brought to you by our friends at Vecteezy. 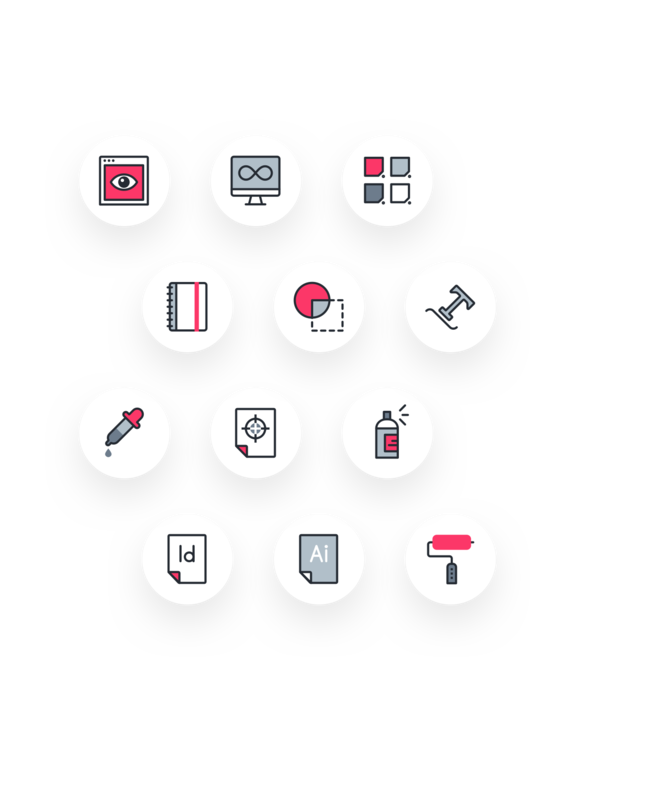 Includes the essential design tools—like the crop tool, the eyedropper icon, and an easel—making it perfect for projects that call for design-related icons and imagery. Available in Illustrator, EPS, SVG, and PNG file formats (Adobe illustrator files with editable strokes, EPS files with editable strokes, SVG files with editable and expanded strokes, and PNG files 1024 x 1024 pixels on transparent background). The pack comes in four colors—black, white, gray, and hot pink—but you can adjust the stroke to be any color you wish. The flat line style makes it easy to adapt this pack to fit your brand.